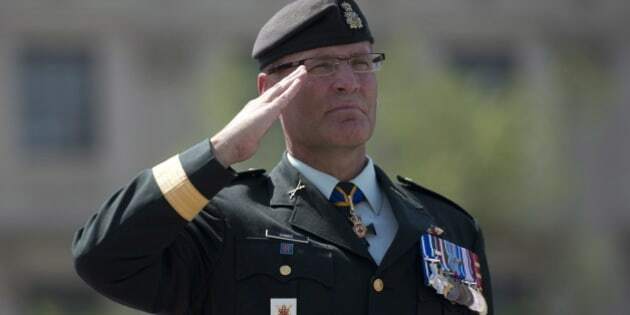 The commander of the Canadian army has threatened to go after soldiers who provide information to the media without permission and "pursue disciplinary action against them," according to a memo sent widely across the land force. Lt.-Gen. Marquis Hainse said army information and documents are being "leaked" to media agencies, in violation of military rules. He then went on to apparently attempt to shame the leakers, referring to the passage of information about what&apos;s happening inside the army as "a serious lapse in the ethical judgment and behaviour of some of our members." Hainse said the leaks negatively impact the credibility of the land force he commands. "It is hurting the army, it is counter-productive, and it needs to stop," he wrote. "I intend to pursue disciplinary action against any member of the army who is found complicit in the unauthorized release of information." The military public affairs rules, referred to in Hainse&apos;s memo, also say the military should be up front about what it&apos;s up to, provided the information doesn&apos;t need to be protected for security or other technical reasons. That policy is designed to embed "the principles of openness, transparency and accessibility into the day-to-day operations of the [Canadian Forces] and the [Department of National Defence]." When CBC News sought to obtain a copy of Hainse&apos;s memo, the Canadian Forces refused and said it would only be available by applying for it under the federal Access to Information Act. That law governs whether Canadians can see government information when federal institutions refuse to make it public. By the end of the day, senior defence officials had seemingly convinced the army to release the Hainse memo. In it, the commander urge soldiers to think of the consequences of getting caught passing information about the army to reporters. "I encourage you to remind all personnel of the existing regulations, which guide their actions as well as the potential repercussions that a disregard of these regulations may have, both personally and institutionally." The army has recently been subject to media scrutiny over its last-minute decision to scrap a $2-billion purchase of new heavy armoured vehicles to protect soldiers from roadside bombs. During a news conference just before the Christmas holidays, Hainse told reporters the vehicles were no longer needed because of recent upgrades to light armoured vehicles already in use. Haines said the improved LAVs offer soldiers the same degree of protection as the heavier and more expensive Closed Combat Vehicles. That statement was immediately criticized by an armoured vehicle maker, Nexter, which said the upgraded LAVs do not offer the same level of protection as its vehicles. Sources told CBC News the decision to cancel the purchase of Closed Combat Vehicles wasn&apos;t about protection, as Hainse said, but about cash. The army in particular has been struggling to implement government cuts without reducing troops or cutting programs. In December, CBC News reported the army&apos;s budget was under such strain soldiers in at least one of Canada&apos;s combat brigades were warned their training budget was going to be slashed by 61 per cent.